Why Veganism Is For Me! I’ve wanted to be 100% vegan for years now and I’m proud to say I now am! I first became a vegetarian in January 2013, and ever since then I’ve felt that, at some point, I would like to be vegan; however, even when I first became a vegetarian, I was completely unaware of the cruelty involved in the dairy and egg industry, and how those industries were tied in with the meat industry. It didn’t take me too long to catch on and educate myself, though. For the last couple of years or so, I’ve probably been about 70% vegan — choosing mostly vegan options most days, but still occasionally eating ice cream or cheesy pizza. But on April 6th of this year (2018), I decided that I was completely ready to eliminate all dairy, eggs, honey, and any other by-products from my diet and lifestyle. I don’t know why it took me so long to make this change, but I’m glad that I finally did. I’m a firm believer that when it’s your time to do something, give up something, or start something, then it’s your time. I felt that I was completely ready to become a vegetarian in January 2013 and it wasn’t a struggle at all, and, honestly, I felt that same feeling this past April. Now I’m passionate about living an ethical vegan lifestyle. Over the last few years, I’ve seen so many awful and truly sickening videos of animal abuse in the food industry. I’ve seen dairy cows being abused in unimaginable ways, having their babies ripped from them as soon as they’re born, and then sent to slaughter when they can no longer produce enough milk. I’ve seen chickens that were stuffed in battery cages so small that they had absolutely no room to move or feel any kind of comfort, I’ve seen how much strain is put on their bodies to produce significantly more eggs than they’re made to handle, and I’ve also seen them slaughtered when they’re beaten and broken and can’t produce enough eggs any more. I’ve seen undercover videos of baby chicks being ground up alive because they’re considered an unneeded by-product of the egg industry. And I’ve heard stories about queen bees having their wings clipped to prevent the colony from leaving. Ultimately, I’ve read a lot about and seen a lot of the atrocious animal cruelty involved in these industries. I couldn’t continue to consume products that are the reason for so much animal suffering. These animals were in my mind every time I ate cheese or something with eggs in it. I could see their suffering in my mind, so how could I enjoy food created from animal cruelty? It simply wasn’t enough for me to continue being only vegetarian and buying only cruelty-free. 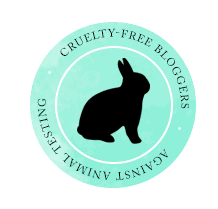 How can anything be cruelty-free if it’s not vegan? Since starting my vegan journey, I’ve been focusing on eating lots of fruits and vegetables, rice, beans, pasta — anything plant-based. It’s so easy to stick to a vegan diet when you choose plant-based, healthy options. There are no ingredients to read and there are way more nutrients. The thing is, that by being vegan, I’m not missing anything. Honestly, I still eat the same things that “normal” people eat; I just don’t eat anything that has come from an animal. I still eat pizza, pasta, chicken burgers, etc. ; I just eat plant-based ones — which taste just as good …actually, they taste better! And there’s no cruelty involved. I’m looking forward to the future as a vegan. I feel good that I’m not contributing to the meat and by-product industry any more. It’s a disgusting industry that I don’t want any part of. I don’t want to contribute to animal suffering in any way — and by purchasing these products, I was. I’m proud that I’m 100% vegan now. There’s always room for improvement, but being on this vegan journey means a lot to me and I fully intend to stick with it the rest of my life. I’ve always loved animals, and I don’t believe in using and abusing (and murdering) them. We have absolutely no right to do that. Thank you!! That’s amazing that you and your boyfriend are about 90% vegan now! It’s so worth it! Every little bit helps…but I will say that I wish I transitioned to a vegan lifestyle a lot earlier because it’s so much easier than I thought it was going to be. It’s funny, though, when I first became a vegetarian, I didn’t know how cruel the dairy and egg industries were/are. I think many people, like myself, give up eating meat thinking they’re no longer contributing to animal cruelty. And because these industries (dairy and egg) are hidden, it’s easy for us to think that if we avoid meat, then that means no animals have to die for us to eat; but it’s just as violent in the dairy and egg industries (if not more so). Animals in those industries are also killed by the billions every year. Any step in the right direction makes a difference, but being vegan really sends a message! So, good for you guys for choosing compassion!! That’s great that you’re thinking about where your food comes from! Originally, before I went vegan, I started to buy free-range and “compassionate” eggs, but I learned that there really is no such thing. Unfortunately, even if hens are well taken care of, the male chicks (by-products of the egg industry) are generally considered useless, so they’re typically killed. Sadly, everything I wrote in my blog post is standard practice — even on free-range, organic, local egg farms. It’s great that you’re moving toward tofu scrambles, though! I’ve only recently tried a tofu scramble and it was delicious…and tasted surprisingly close to scrambled eggs! 🙂 Good luck on your vegan journey! !